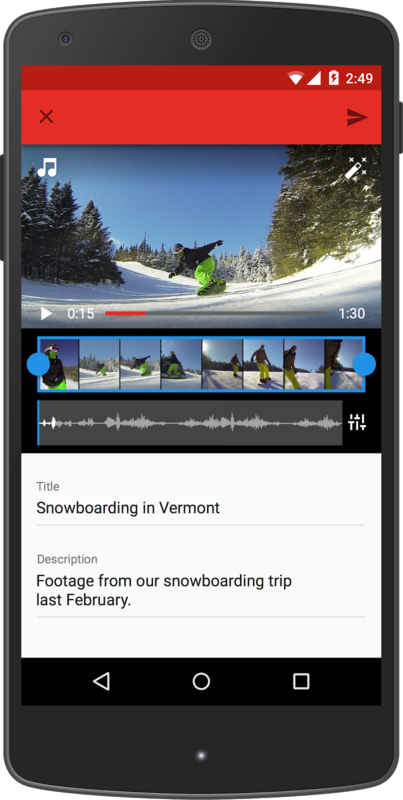 Google has announced several changes to its YouTube mobile interface for both Android and iOS. The update, which debuts three new tabs: Home, Subscriptions and Account, is available for Android now and will be rolling out for iOS soon. Home lets you explore and discover videos with recommendations based on your viewing history, and playlists that are customized for you. 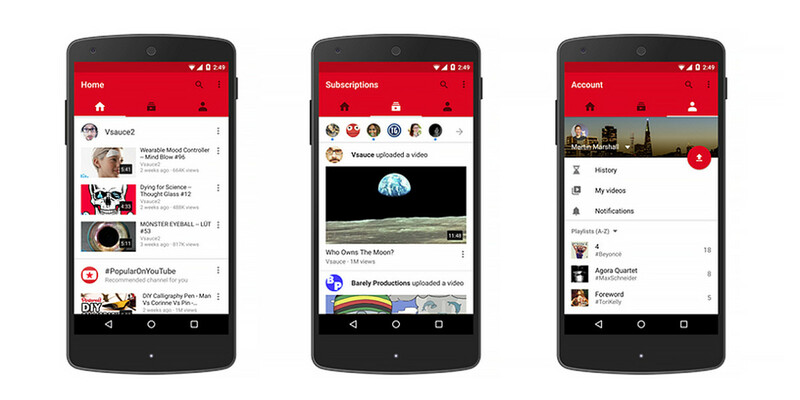 A new Subscriptions tab helps you find the latest videos from your favorite channels and creators. You can even tap the Bell icon on a channel to be notified when new videos are posted. The Account tab lets you check your playlists, watch history and the videos you’ve uploaded in one location. And, as we have reported, the Android version and now the iOS version, both support full screen playback of vertically shot videos. In addition, Google says you can now trim footage, tint an image with filters, add music and upload – all within the YouTube app. While that may be enough to get people started, YouTube promises even more improvements to come.